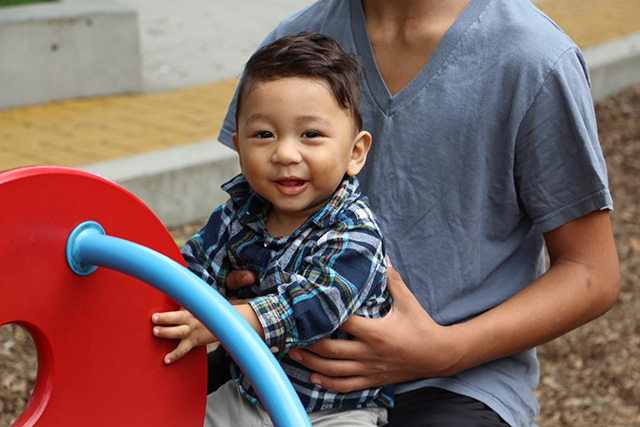 New Westminster Schools offer two early learning programs for children aged 0-5 years, StongStart and Ready Set Learn. Following the BC Ministry of Education and The Early Learning Framework, our teachers support children in their social, emotional, physical and academic development. To learn more about our Early Learning initiatives and programs click on the links below and to the left. In late spring our elementary schools offer a Welcome to Kindergarten event for students who will be entering Kindergarten in the fall. To learn more about the program and to download resources, please visit The Learning Partnership website. You may also read the BC Early Learning Framework. 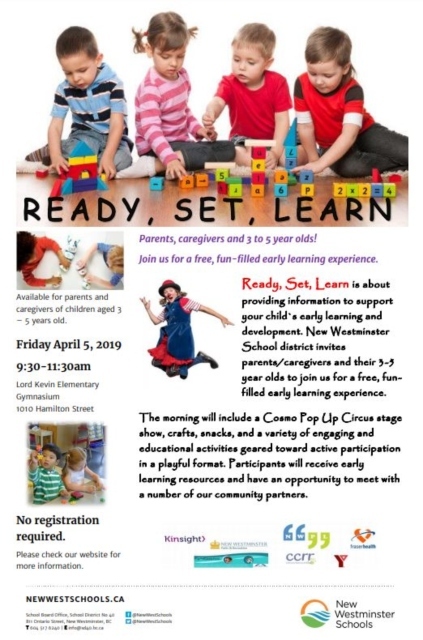 Join us for a free, fun-filled early learning experience April 5, 2019. Ready, Set, learn is about providing information to support your child’s early learning and development.